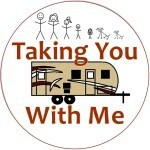 Camping: Packing all that Stuff! It won’t be long before we’ll be heading out for another camping trip, this time to Gettysburg, PA to tour the battlefields and museums. That means it’s almost time to pack. 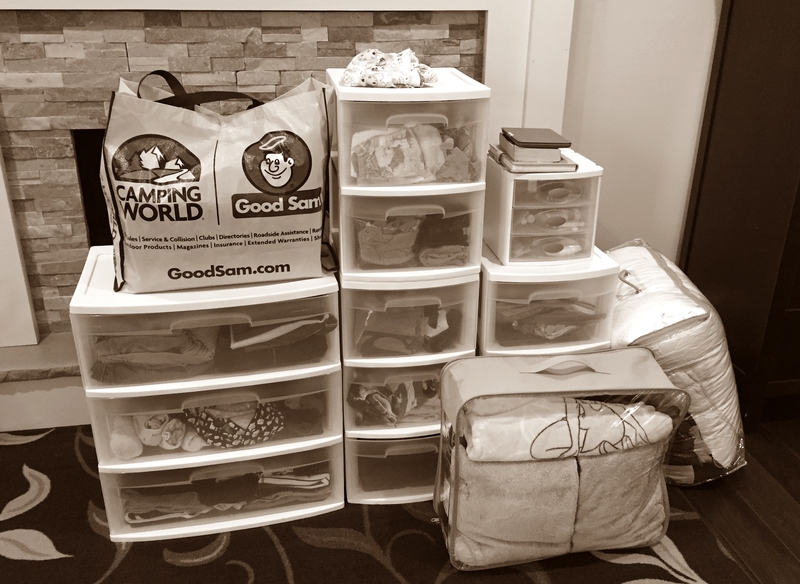 Clothing: When we first started camping, we packed our clothing in duffel bags. By the second day of camping, everything I had carefully sorted and folded was a mess from little hands rummaging through the bags. I knew there had to be a better way. I got the idea of using plastic drawers from the Pop-up Princess Blog (an invaluable resource to pop-up campers) and they’ve made packing and storing clothing so much easier. Each child has a chest of drawers for their clothing, diapers, and other small belongings. Jim and I share a set of drawers. When they’re not in use, they fit nicely in our bedroom closets. Now, everything stays organized and easy to find. Because we tend to pack the same things in the same drawers every time, we’re less likely to forget things. Once everyone is packed, the drawers fit nicely in the folded camper. It looks like a lot, but it really only took me 30 minutes to pack all those drawers! Toiletries are also packed in a smaller set of drawers. I pack them at the beginning of the camping season and leave everything in there so I don’t have to go around collecting everyone’s toothbrushes and shampoos each time. This container travels in the cab of the truck with us because too many items are sensitive to temperatures. It gets stored in the bathroom cabinet when not in use. Linens are washed immediately following the previous camping trip and stored in re-purposed comforter bags that we keep in our linen closet. When it’s time to pack, all I have to do is grab the bags. Shoes are packed separately a plastic bin. This is usually the last thing that gets packed because we’re using our shoes right up until we leave. The only shoes that stay packed permanently are our shower shoes. Using a bin with a lid enables us to keep our shoes outside the camper without them getting damp in the morning dew. Keeping shoes in the camper is a no-no since it can make the small interior smell like feet. Camping gear stays in the camper all the time. When we’re packing up at the end of a trip, we carefully clean and place things in the camper storage so we can easily access them when we get to our next camping destination. Being able to keep our gear in the camper has greatly diminished our packing time. Swimming gear (towels, tubes, goggles, sunscreen) gets packed into the same bag I use for all our summer swimming trips. We throw it in the truck before we leave and it stays there until we’re ready to head to the pool. We just grab it and go! Paper supplies are kept in a plastic bin that stays in the camper when not in use. Before each trip, I do a quick inventory and add any missing items to my grocery list. Cooking Supplies are stored permanently in their own plastic chest of drawer that stays in the camper until we get to the campsite. That means we have to keep a separate set of everything (utensils, spices, etc.) for camping, but that’s not uncommon for people who camp a lot. We got most of our supplies from the dollar store. Larger items like pots and pans, as well as our coffee maker and toaster, are stored in the camper kitchenette. Groceries, unfortunately, are the only items I haven’t managed to streamline when it comes to packing. Our system for food storage is still a work in progress. We love camping, but we hate when it becomes a lot of work. By maintaining packing routines, I don’t have to re-invent the wheel each time we head of for a new adventure. It took us a while to get to this point, but now preparing for a trip is pretty easy. Pictures from Gettysburg coming soon! This entry was posted in Camping on July 27, 2016 by hlapinski.